From Japan to worldwide. We will provide best service! from Japan. From Japan. but we have not listed. 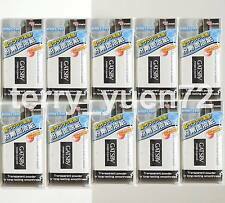 Powder Oil Clear Paper. Large surface area effectively absorbs oil. Press lightly on skin areas with oil. Strong absorbent power absorbs oil and sweat fully. Oil Clear Blotting Powdered Paper. 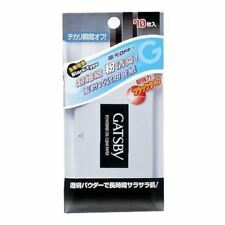 Gatsby Oil Clear Facial Paper. Softer than paper, these silky sheets leave your skin feeling refreshed by instantly removing excess oil and shine from your face, without smudging makeup or leaving behind powder. 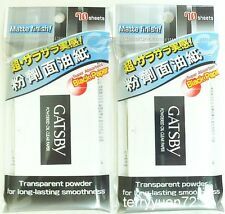 Gatsby Powder Powered Oil Clear Film Paper Sheet. Oil blotting paper with powder to fully absorb excessive sebum and effectively remove sweat that cause stickiness and oily-look. Keep skin smooth, fresh clean & shine- free. It also contains a lightweight, translucent powder enriched with plant extracts and white clay to blur the appearance or enlarged pores while reducing shine. Ideal for normal to oily skin to help stays fresh and shine free. 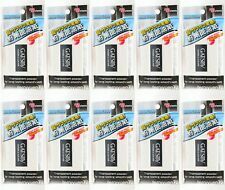 Oil Clear Blotting Powder 6g. Oil killer power. Protect your makeup by touching with this after doing makeup. Take proper content on puff and apply it to whole face tapping lightly. Oil blotting paper with powder to fully absorb excessive sebum and effectively remove sweat that cause stickiness and oily-look. 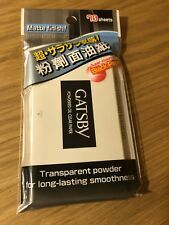 Gatsby Powdered Oil Clear Paper. Keep skin smooth, fresh clean & shine- free. E.L.F MATTIFYING BLOTTING PAPERS. The chic portable case is perfect for all your daily or on-the-go beauty adventures! LOTS OF OTHER MAKE UP PRODUCTS, HAVE A LOOK! Hold the paper against your skin, the paper instantly absorbs the oil turning your skin from shine to matt. Use as little or often as needed for your skin, without leaving residue. Use when you are wearing make-up without taking your make-up away or smudging it. The blotting papers mattify the face, especially the T-zone, absorb excess oil and help make-up last longer. A dusting of powder accentuates the make-up and prolongs its hold. [MdoC] Sebum Strike HD Powder Tissue. - Sebum regulating. You do not need a separate washing. greasy areas, wipe the contaminated area clean. How to use. ACID,PHENOXYETHANOL,FRAGRANCE. CHLORIDE,CAPRYLYL GLYCOL,COCAMIDOPROPYL PG-DIMONIUM CHLORIDE,PHOSPHATE,CITRIC. We do not provide English Manual. Electronic product provides 220v 60hz with 2round pins plug for C type. ♥ F ormulated with very mild ingredients for all types of skin. 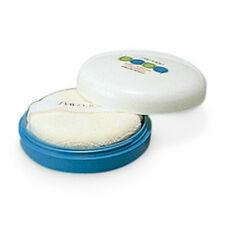 Specially made for people who has a sensitive skin that are allergic from regular baby powder. ♥ Made in Japan. ♥ Matte and translucent finish after applying. Product : Baby Powder (pressed) 50g with Soft Puff. Muji Japan Traditional Powdered Oil Blotting Paper (60 sheets). 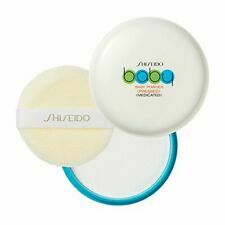 Made with Japanese paper that contains linen for excellent absorption and gentle texture against the skin, and coated with face powder, it enables easy fixing of makeup. Contents 70pcs. Usage Normally or for makeup touch-up. Cautions This item is for adults usage. Made In Japan. Translation Based On Official Distributor's Data In Japan. UPC 4956810890491※May be subjected to change by Maker without previous notification. Katani Japan Panda Oil Blotting Paper (100 sheets) - Powdered Type. 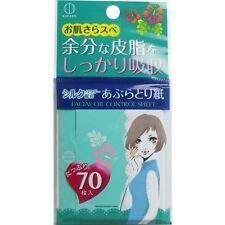 A nice oil blotting paper with sebum absorbing powder . Made in Japan. ※70×90mm 100枚入. ENGLISH VERSION. DEUTSCHE (GERMAN) VERSION. All products are sending from Hong Kong. Can make natural skin tones. You can easily refresh your skin so smooth retrieved one by one. is here. With soft pocket case. is here. ・Greenland. ・Australia. Our pricing is very reasonable and competitive. Jill Stuart Makeup Powdered Oil Blotting Paper N. Content: 70 sheets. Instantly removes face excess oil. Made In Japan. 100% NEW Original. An explanation of the nature of the defect and item number must be noted before authorization can be granted. With the original holder in cloth texture, the front cover is very attractive, mirror inside. Oil Paper 70 sheets. With sebum absorbing powder. Original holder. Instantly removes face excess oil. 100% NEW Original. Product: FACIAL BLOTTING PAPER FACE POWDER. Material: Linen Japanese Paper. Contents: 60 sheets. Made in Japan. Ideal for fixing up your makeup quickly. [MdoC] Sebum Strike HD Powder Tissue. - Sebum regulating. You do not need a separate washing. greasy areas, wipe the contaminated area clean. ACID,PHENOXYETHANOL,FRAGRANCE. It is made in Japan factory. is here. - are not in a hurry to receive your order. is here. RPA2 Translucent. For yourentire order from MrChuWarehouse. Face and body is, of course, wash the whole body from head to toe powder cleanser. [ Li-ion Battery ]. We do our best for you!! [ Other Carrier ]. Expdited --- EMS. [ Country of Manufacture ]. [ Multiple sizes and colors ]. Made in Japan. Middle East. Kiyo pyrethrum. Body powder 100 g. Region code is DVD: Region 2 / Blu-ray: Region A. Weight(about) Size(about) All product manuals are in Japanese. We could NOT take any liabilities nor responsibilities for injury, sickness, and all the other inconveniences caused through usage of products. RPA3 Natural. For yourentire order from MrChuWarehouse. RPA8 Warm Beige. For yourentire order from MrChuWarehouse.